Where once a girl resorted to biting her lips to redden them before entering a crowded room, there is now a myriad of choice in glamour when it comes to choosing her lip rouge. Hollywood makeup guru Ern Westmore provided this sterling advice which applies to this day. 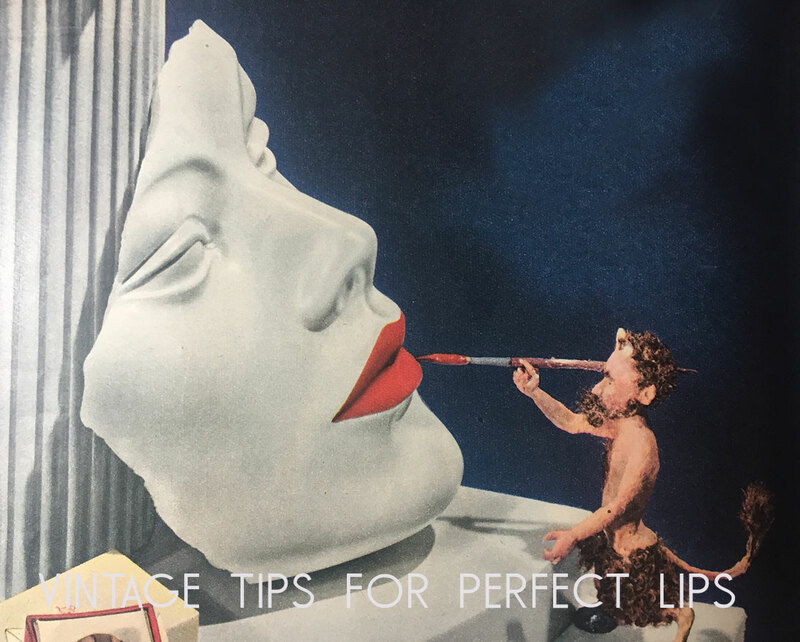 See the video Vintage Tips for Beautiful Lips featuring Mr Westmore at the end of post . How do I get perfect lips? The illustrations show lips which need improvement. That can be done with lipstick. You’ll see a grey, dotted region. That is the natural shape of the lips, all of which would normally be covered with lipstick. 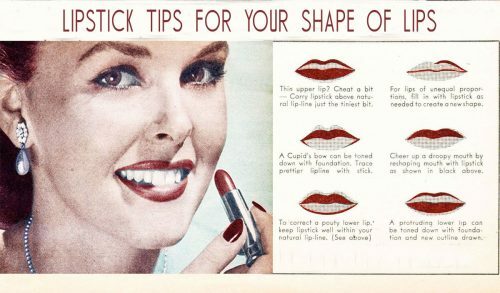 To correct lip shapes, draw a new lip-line with lipstick as indicated.